The Department of Labor and Employment said that about 13.90 per cent of Bicol employers do not comply with the current minimum wage rate as specified in Wage Order No. RBV-16 which stipulates P260.00 per day for establishments with more than 10 workers and P236.00 per day for those with less than 10 employees. Or, stated on a positive note, DOLE Bicol has recorded an 86.1-percent compliance in minimum wage in the Bicol Region the past July. This came up, despite the new online labor laws compliance system which automatically tracks down, rates and reports the output of compliance officers formerly known as inspectors. “Of course, we will always see labor violations. I think it is impossible for us to have full compliance, DOLE Bicol assistant regional director Ma. Karina Trayvilla said. an assessment initiated if a complaint from a worker is received. Out of the 971 establishments assessed, DOLE recorded 334 violations on general labor standards which include 135 were underpayment of wages, 14 violations on rest periods, 65 violations on OT pay, 162 violations on holiday and special day pay, 41 violations on service incentive leave (SIL), 72 violations on 13th month pay while 58 violations on records keeping. 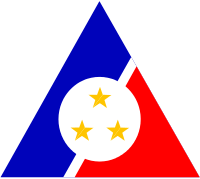 Of the 437 violations on Occupational Safety and Health Standards, DOLE noted 135 establishments were not conforming on safety and health organization, 112 with no health personnel, 5 with no medical facility, 10 with no emergency medicine and 9 establishments with other safety and health concerns. Actually, the drawback was the result of the new system which changed the police approach of enforcing the compliance of the law to a liberal “developmental” and much less effective one. This entry was posted in BICOL NEWS NOW, BUSINESS, GOVERNANCE, NEWS and tagged DOLE, minimum wage. Bookmark the permalink. Can a candidate file COC for different positions within the 5-day filing period? When a push become a shove into identifying and funding government projects, what matters most?